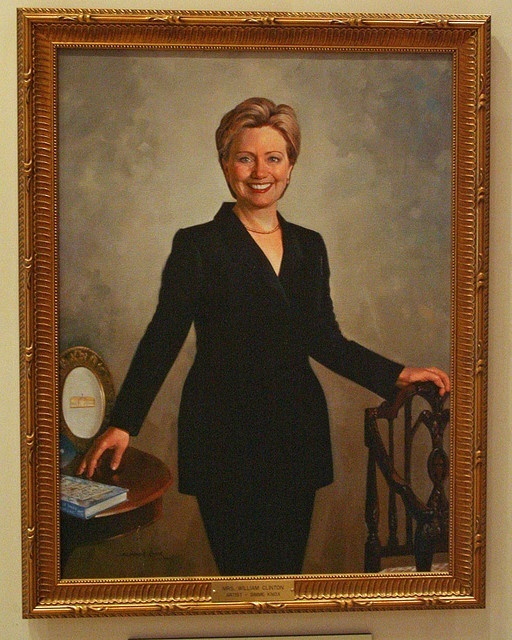 Hillary Clinton was voted "The Most Admired Woman of the Year" for the 20th time. Now, this doesn't jibe very well with lot's of other polls that suggest that Americans, by a fairly wide margin, think that she's untrustworthy. So, what's driving this multidecade-long admiration between Hillary and the American people? If you look at the list, it's pretty clear that what we have here, is an inventory of reasonably well-known women, one that generally leaves out pop stars and actresses. Once you eliminate them, what you're left with is a pretty short list. Not because there aren't enough women to admire, but, because most of the truly admirable women are generally unknown. Meaning, that this list says more about the lack of knowledge of the people who vote in these polls than it does about the admirable qualities of Hillary Clinton. The men's list is essentially the same. The truth is, that these kinds of lists aren't even popularity polls. They're really about name recognition more than anything else. So, to confuse the two is misleading, especially for future generations who might look back and say, "Hillary must have been a very admirable woman." When, in reality, she is, primarily, a well-known commodity. ​Here's a little thought experiment; try naming ten brands of toilet paper or ten of anything, for that matter. If you get much past "Charmin" or "Scott" you'll see the obvious parallel. Let me suggest that this list, beyond its propaganda value, is basically the same.